All you need to make a party memorable is good music, booze, and delicious food! “There is no sincerer love than the love of food,” said Anglo-Irish playwright George Bernard Shaw and this statement completely belongs to all the food freaks. With New Year’s eve parties just a few hours away, all the foodies must be planning to step into 2017 with some mouth watering dishes. 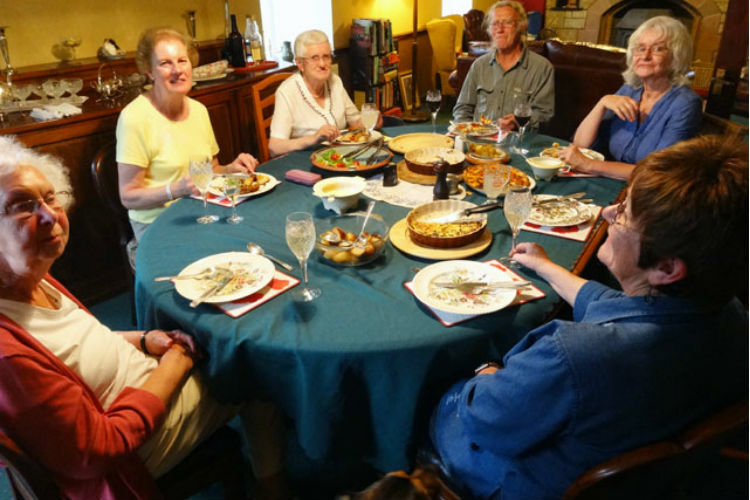 If you too have such foodie friends, and you want to make the last moments of 2016 memorable for them, including these five dishes to your New Year celebrations can be a wonderful idea. After all, all you need to make a party memorable is good music, booze, and delicious food. 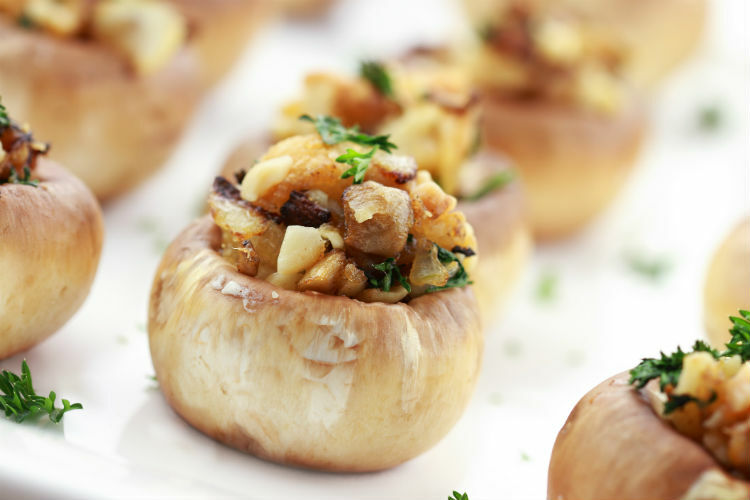 Stuffed Mushroom: Prepared with nutritious mushrooms, this can work as an ultimate starter for your party. Ingredients: 12 large fresh Mushrooms, 6 crushed garlic cloves, 150g breadcrumbs, finely chopped bell pepper, 6 tablespoons cream, 510 grams cheese (grated) and salt (as per your taste). Step 2: Drizzle the mushrooms with olive oil and roast at 180C, for about 15 minutes. Step 3: Fill each mushroom with the mix prepared. Step 4: Now sprinkle butter on mushrooms and grill them until they turn golden. Serve with a scatter of chopped bell pepper and a twist of black pepper. 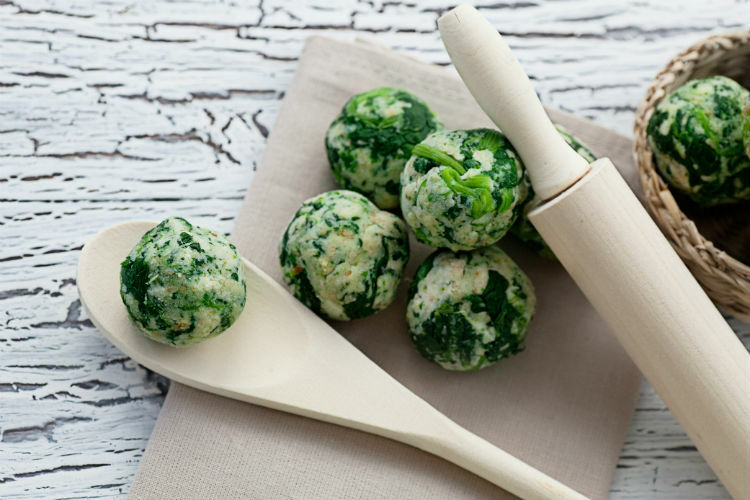 Spinach Cheese Balls: Made with spinach and cheese, this snack is high in protein. Recipe: Step 1: Combine the potatoes, paneer, spinach, salt, green chilli paste and bread crumbs in a bowl. Mix well. Step 2: Make 12 balls from the mix and cut the cheese into 6 pieces. Step 3: Now insert these cheese cubes into the prepared balls. Step 4: Roll the balls in bread crumbs, deep fry them until they turn golden brown on all the sides. Serve hot with Tomato ketchup or chilli garlic sauce. Five- Layered Mexican Dip: From nachos to lettuce, this ultimate dish contains a number of variables. Ingredients for layer 1: 2 cups soaked, boiled and mashed kidney beans, 1 ½ tablespoon chopped garlic, 1 cup chopped tomatoes, 1 cup chopped spring onions, ½ cup tomato ketchup, 1 tablespoon chilli powder and salt. Ingredients for layer 2: 2 ripe avocados, finely chopped onions, 1 tablespoon chopped coriander, 1 ½ chopped garlic, ½ cup chopped tomatoes, 1 tbsp lemon juice, 1 ½ tbsp fresh cream and salt. Ingredients for layer 3: 1 ½ corn cob, 1 ½ large green capsicum, oil and salt. Cream preparation: Mix 1 cup curd with 2 tablespoon lemon juice and salt. Ingredients for layer 4: ½ cup chopped onions, 1 cup chopped tomatoes, 1 ½ tablespoon coriander, 1 tablespoon red chilli flakes, 1 tablespoon chopped green chillies and salt. Layer 5 ingredients: 1 cup chopped spring onions, ½ cup grated cheese, 1 cup lettuce. Step 1: Heat the oil in a pan, add the garlic and chilli flakes and sauté on a medium flame for a few seconds. Step 2: Add the spring onions and sauté on a medium flame for 1 minute. Step 3: Add the tomatoes, mix well and cook on a medium flame for 2 minutes. Mash them. Step 4: Add tomato ketchup, mashed Rajma, salt and 1 tablespoon of water to this mixture, mix well and cook on a medium flame for 2 minutes. Your first layer is ready to be placed in the serving vessel. Step 1: Cut each avocado into halves, now mash it. Step 2: Add finely chopped onions, 1 tablespoon chopped coriander, 1 ½ chopped garlic, ½ cup chopped tomatoes, 1 tbsp lemon juice, 1 ½ tbsp fresh cream and salt to mashed avocados. Step 3: Refrigerate this mix for at least 30 minutes. Layer 2 is a ready now. Step 1: Roast the corn and capsicum. Chop the roasted capsicum. Step 2: In a bowl, mix roasted corn, roasted capsicum and add salt. Final step: Take one glass or bowl; spread the three prepared layers evenly one after another. Now spread the uncooked salsa over it, then spread the sour cream evenly over it and add the lettuce. Serve immediately with nacho chips and Mexican Green Sauce. 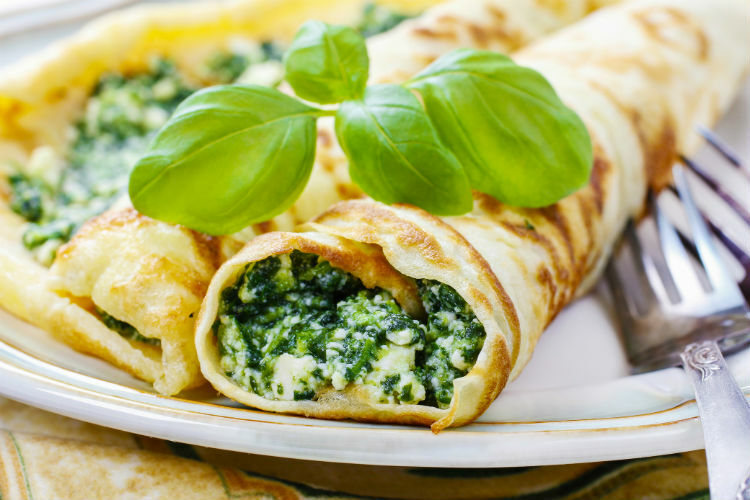 Ingredients: 2 large eggs, 3/4 cup milk, 1/2 cup water, 1 cup flour, 2 tablespoons melted butter, honey, 1 ½ cup Mexican Green Sauce, 2 cups chopped broccoli florets, 2 chopped onions, 2 green chilli (chopped), 8 tablespoons grated cheese, 2 tablespoons butter, 3 tablespoons grated cheese (for baking) and salt. Recipe: Step 1: Beat two large eggs in a bowl and add the milk, water, flour and melted butter. Mix well. Step 2: Add 1 ½ tbsp honey to sweeten and blend to make a smooth batter. Step 3: Allow the bubbles to set and then place about 2 tbsp of batter onto a frying pan and spread it out evenly to make a thin, crisp crepe. Step 4: Cook for about 30 seconds and flip the crepe to cook the other side. Once done, take them off the pan. Don’t overcook them. Step 5: Boil Broccoli florets in a pan for at least 5-minutes. Step 6: Add butter to a pan, fry chopped onions, add green chillies and boiled broccoli to it. Fry it for 1-2 minutes. Add salt. Step 7: Keep the mixture aside to let it cool down, now add cheese to it and mix well. Step 8: Fill the crepes with the broccoli mixture and fold each one into a triangle. Arrange in a baking dish and pour the Mexican green sauce over them. Sprinkle the cheese on top and bake in oven at 200 degrees C for 20 minutes. Broccoli crepes are ready! Serve them hot. 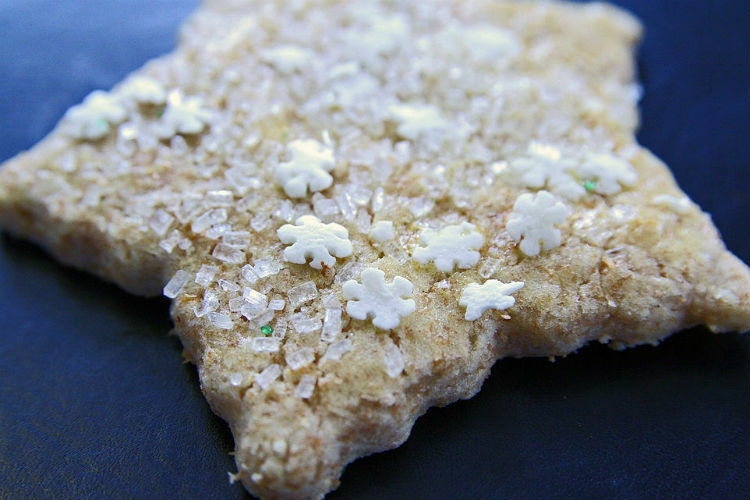 Sugar Cookies: Now it’s time for something sweet and homemade sugar cookies are the best option. Ingredients: 1 ½ cups butter, 2 cups white sugar, 4 eggs, 1 teaspoon salt, 2 teaspoons baking powder, 1 teaspoon vanilla extract, 5 cups all-purpose flour. Recipe: Step 1: First, beat the butter and sugar together in a bowl. In a separate bowl, beat eggs and vanilla. Step 2: Now add the above-prepared mixtures in a bowl, add baking powder, flour and salt. Step 3: Refrigerate this dough for at least an hour. Step 4: Preheat oven to 200 degrees C. Roll out dough on floured surface. Try to keep it at least ¼ inch thick. Step 5: Cut the spread dough into shapes with a cookie cutter and place them on cookie sheets (at a distance of at least 1 inch). Step 6: Bake for 6 to 8 minutes. Cool completely. Now, your cookies are ready.